This section gives details of my mother's ancestors, including the McCauley, Donaldson, Ford and Gadd families. The McCauleys originated in Tyrone, Northern Ireland, from where my great great grandfather, John Snr. 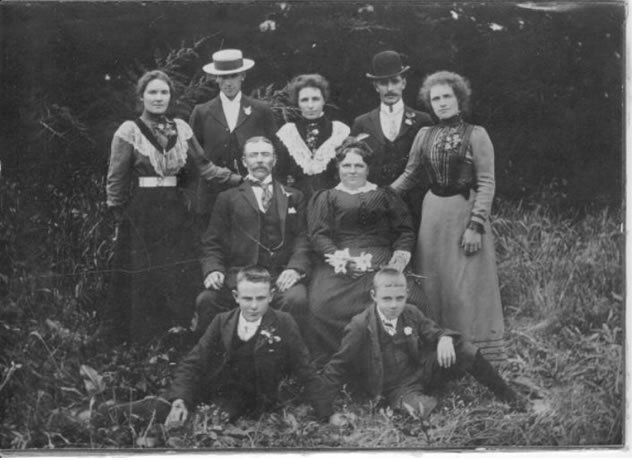 McCauley, and his family, including my great grandparents, John Jnr. and Eliza Jane McCauley (nee Donaldson), emigrated to New Zealand in 1876. 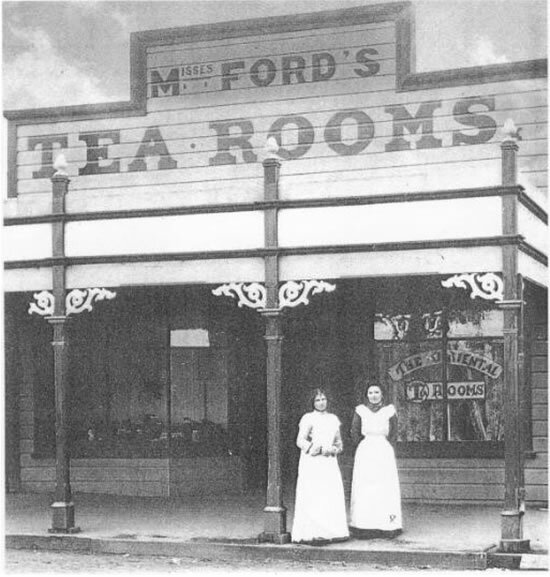 My grandfather, George Thomas McCauley, married Sarah Ann Ford, whose parents, Henry James and Emily Ann Ford (nee Gadd), had emigrated to New Zealand in the 1860s and 1850s from the London and Somerset areas respectively. Acknowledgements: On 10/11/12 February 2012, a reunion of the McCauley family, mainly the descendants of John Snr. 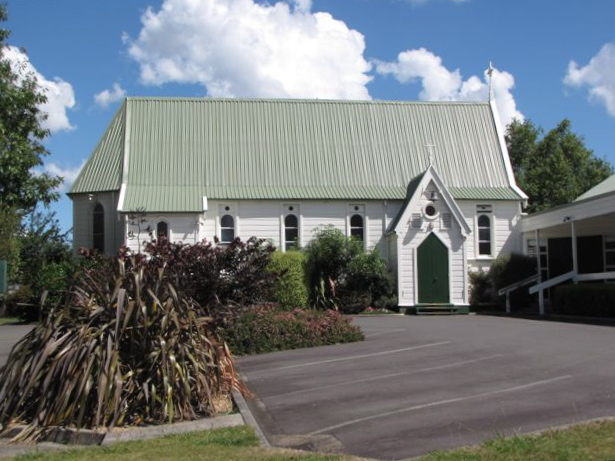 McCauley, including myself, and our families, was held in Katikati. To commemorate this occasion, Debbie McCauley wrote a book entitled "The McCauley Family, Katikati, New Zealand, 1876 - 2012". This is a comprehensive account of the McCauley family members who arrived in New Zealand in 1876 and their many descendants, with background information on the Katikati settlement and its development in the years following their arrival. Much of the information below on the McCauley branch of my family is either taken from or included in Debbie's excellent book, which I acknowledge with gratitude along with the contributions of a number of other McCauley cousins, particularly Joan Simpson whom I had the pleasure of accompanying to Ireland in 2010 to visit sites in County Tyrone of McCauley family interest. I am also grateful to a number of the descendants of Elijah Gadd and his second wife, formerly Sarah Ann Hawgood, for the information they have provided. In particular, I would like to acknowledge the valuable and detailed investigational work of the Gadd family historian, Sarah West, who lives in Melbourne and whom I had the pleasure of meeting for the first time in February 2012. Sarah organised a very successful reunion of descendants of Elijah Gadd, held between 26 October and 3 November 2013, in Sydney and Christchurch. 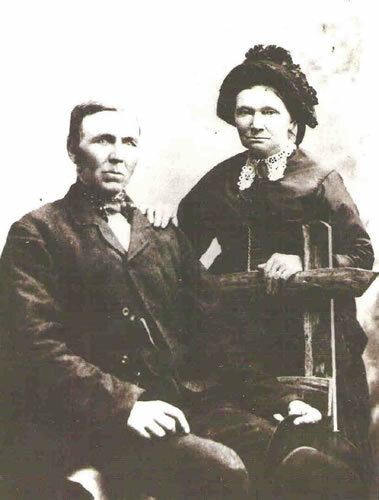 The McCauley family has been traced back to my great-great-great grandfather Andrew McCauley (born in Ireland about 1801) who married Mary Neely (born in Ireland 1806) in 1825. John Snr. McCauley, my great-great grandfather, born in 1826 in Clogher, County Tyrone, in what is now Northern Ireland, was their elder child. The clip below shows my grandfather, George Thomas McCauley, winning the 2 foot world chopping championship in Eltham, New Zealand on Boxing Day, 1911. In 1901, the Taranaki town of Eltham held the first ever World Championship Axemen's Carnival and in subsequent years men from all over New Zealand, Australia and further afield flocked to the town each Boxing Day to participate in this event. It is understood that the carnival came about following a wager between Bert Sulzberger, an employee at the brickworks of my great grandfather (Henry James Ford), and Tom Reilly, an axeman from Stratford. The story goes that, in 1900, Bert bet Tom £5 that he could outchop him through a 2 foot block. A contest was arranged and this proved so popular that the Axemen's Carnival was started the following year. In 1911, Charles Wilkinson organised Wanganui photographer, Charles F. Newham, to make a 1000 foot (300 metre) movie of the Carnival. This was shown at the Wilkinson Picture Hall two weeks later in January 1912.